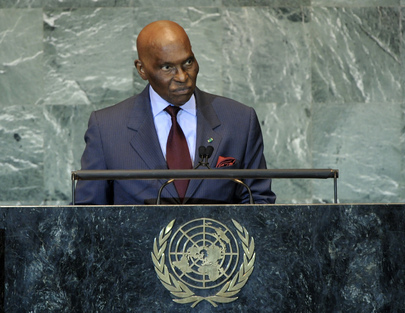 ABDOULAYE WADE, President of Senegal, said the United Nations Charter contained a number of provisions on conflict resolution and prevention, but despite progress, that goal, set down 66 years ago, remained a long way off. While the spectre of conflict had faded since the end of the cold war, millions of men and women continued to suffer the consequences of old and new conflicts. Peace could be threatened in different manners, he said, pointing out that the United Nations could not do everything alone, and that mediation operations must be considered at other levels, such as the regional one. It was a pity that Africa had been forgotten and that its original mediation mechanisms had been ignored in favour of international methods, he said. West Africa had much experience in conflict mediation, having often brought different points of view together or opposition parties into government. Guinea-Bissau, the Ivoirian crisis, Niger and South Sudan provided examples of how conflicts could be resolved at the regional level, he said, recalling that just a few hours ago, there had been a threat on the border between Liberia and Côte d’Ivoire. The President of the Economic Community of West African States (ECOWAS) had met with the two Heads of State and had been able to prevent mercenaries from entering Liberia and disrupting elections there, he said. He said that his country, as President of the Committee on the Exercise of the Inalienable Rights of the Palestinian People, supported Palestine’s application for statehood. He denied, however, a recent statement by the Prime Minister of Israel that he had himself been a mediator in the Israeli-Palestinian conflict, stressing that he had never been one and had never sought to be one. He had once, however, intervened unsuccessfully for the release of a young Israeli soldier. “We ought to do more than have one person or one country mediate in such a complicated situation,” he said. To mitigate fear and mistrust between Israel and Palestine, three States chosen by both parties should determine their demands for a resumption of direct dialogue, he suggested. Underscoring the importance of international order, he said the current functioning of the Security Council fundamentally ignored the African continent. While general reform would not happen overnight, that historical injustice must be remedied, he said, pointing out that 70 per cent of the issues before the Council pertained to Africa. A permanent African seat, with the right of veto, should therefore be a permanent demand, he stressed. Senegal also proposed the establishment of a United Nations body for global agricultural governance headquartered in Africa, he said, noting that his country was now self-sufficient in food and could begin exporting it this year. That was “a remarkable achievement”, realized with the help of international organizations, he added.